Bring a premium Cocktail Bar Experience to your Home or Office Party with Social and Cocktail Events, Scotland. Each of your guests will receive exquisitely prepared Cocktails with lots of Cocktail Flair. 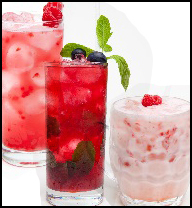 We provide a professional Cocktail Bartender, state-of-the art mobile Cocktail Bar, glassware, ingredients and everything else needed for the perfect Home or Office party. We are currently taking bookings in Glasgow, Edinburgh and the surrounding areas within 100 miles. “We had the best Party ever in our Office. The hard work was all done by Social and Cocktail and they made sure all our guests had a great time." Marine Anderson, Republic Productions. Edinburgh. “Just wanted to say a massive thank you to Social and Cocktail and Patrick for a brilliant evening at our Office Party." 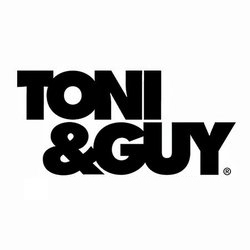 Elizabeth Bell, Toni & Guy. Edinburgh. 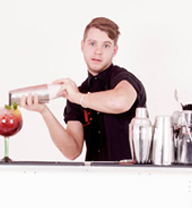 “All of my staff had an excellent experience at their Christmas Staff Party with Social and Cocktail Events. These guys do exactly what it says on the tin!" Billy Smith, Complete Clarity Solicitors. Glasgow. “Social and Cocktail gave us a great afternoon in the office! They were very friendly, chatty and the service was fantastic." Pamela Jeffrey, Bite DA. Glasgow. Social and Cocktail Events ©copyright 2017. BOOK NOW FROM ONLY £25 PER PERSON! Get the Office Party started with Flair! We provide the full range of cocktail ingredients and glassware from Martini Glasses to Highballs ensuring all of our cocktails are served fresh and in their perfect glass. Shake things up at the Office with Cocktails ! 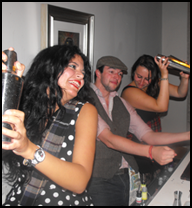 Our top Scottish Cocktail Bartenders will bring entertainment & expertise to your Home or Office. No one needs to feel left out from your Cocktail Party! That's why we have some delicious and fancy alcohol-free cocktails to keep everyone happy. “The quality of the cocktails served was first class and the bartenders certainly kept everyone entertained with some impressive tricks! Overall it was a really enjoyable experience." Book a Home or Office Cocktail Party! Popular Package £25.00 per person & Premium Package £30.00 per person.